Cold weather and snow in the high country were the combination Andrew Wayne McDaniel of Hemet, California, took advantage of on a late-season Colorado deer hunt. 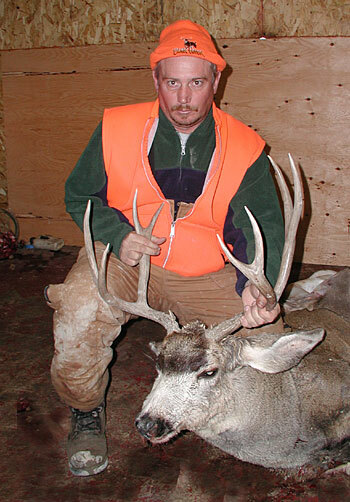 McDaniel was hunting on November 9, 2000, when he spotted this very nice 4x4 Colorado mule deer buck near Rifle, Colorado. McDaniel dropped the buck at 200 yards with his 7mm.